First Pre-Orders of LTE iPad Mini and Fourth-Generation iPad Models Arriving in U.S. - iPhone.MY - Daily News On Mac, iPhone, iPads, iPods and more! 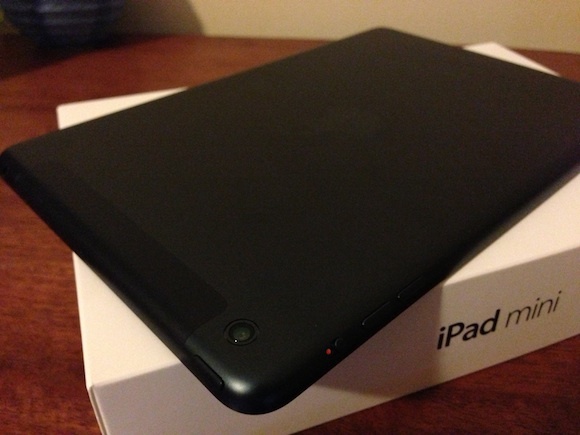 First Pre-Orders of LTE iPad Mini and Fourth-Generation iPad Models Arriving in U.S. In line with tracking information, a number of U.S. customers who pre-ordered LTE models of the iPad mini and fourth-generation iPad have either already received their shipments this morning or are seeing their packages out for delivery. Our forums are beginning to fill with reports of iPad minis being delivered, while we’re also starting to see reports of fourth-generation iPads arriving. Apple has yet to announce when it will begin selling the LTE iPad mini and iPad models in stores, although stocks of at least the full-size iPad models have reportedly arrived at the company’s stores and we had previously heard that AT&T was planning to begin selling the devices this Friday, November 16. New iMac Deliveries to Be Delayed Until Early Next Year?